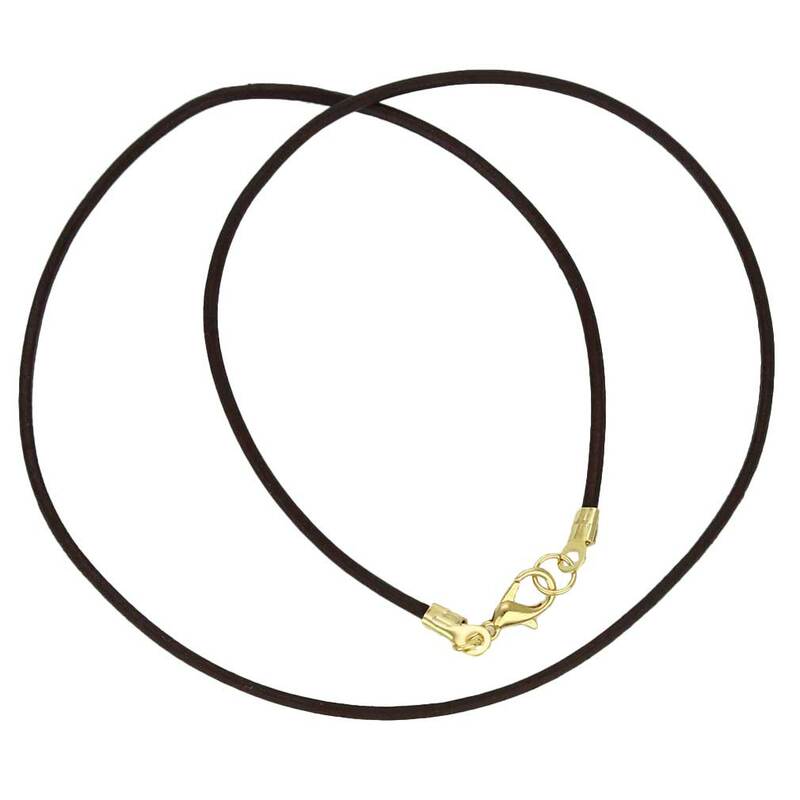 This chic genuine leather cord offers a great way to wear our exquisite Murano Glass pendants. The cord is made of soft and rich cowhide leather resulting in a sophisticated look and great feel against the skin. 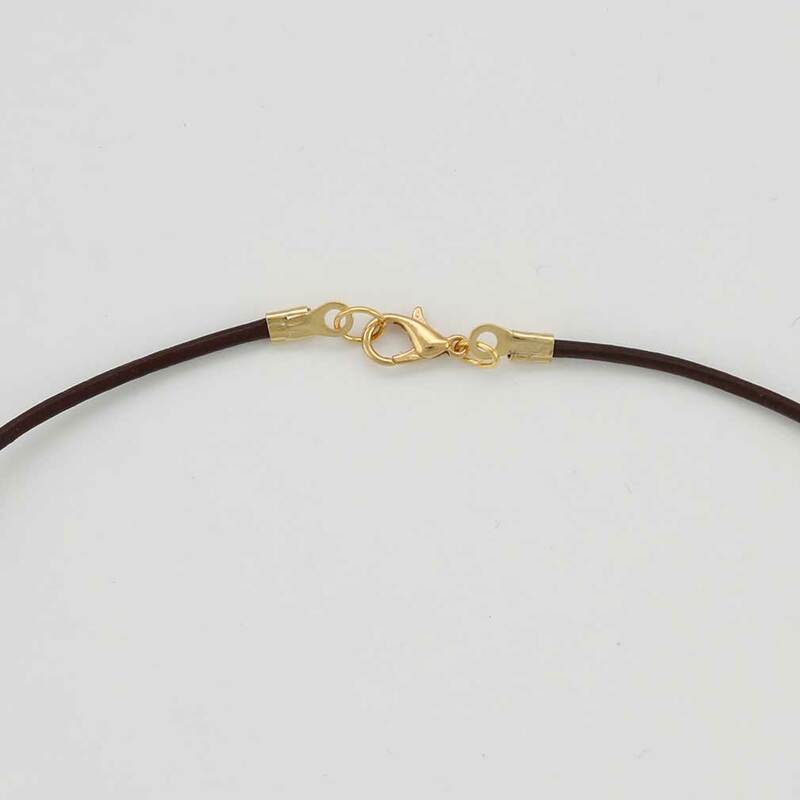 It features deep chocolate-brown color, smooth finish, and secure lobster clasp in a choice of gold or silver finish. These leather cords are durable and modern, perfect for bringing out the beauty of the Venetian pendants without overshadowing them. 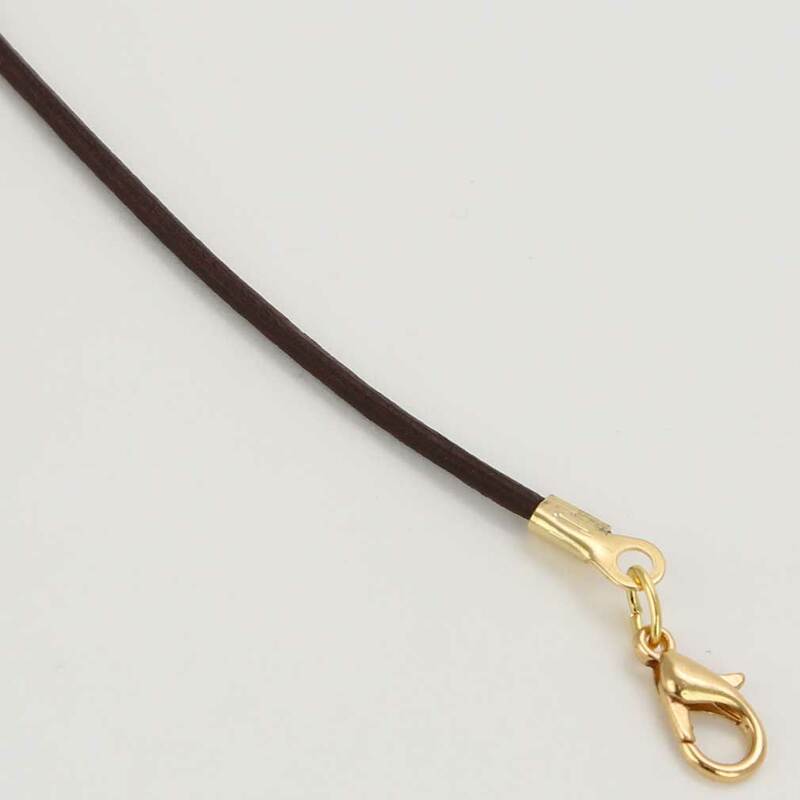 Measurements: This genuine leather cord measures 2 mm in diameter and comes in 16, 18, and 20 inch lengths, which you can select from the drop-down. Longer lengths can also be purchased by special order. This is exactly as I thought it would be. Found the right one I loved:)). Thanks!! !